The Butendiek offshore wind farm is located approximately 32km west of the island of Sylt and 53km from the mainland, in the German North Sea. The offshore facility covers an area of approximately 33km² in water depths ranging between 17m and 22m. 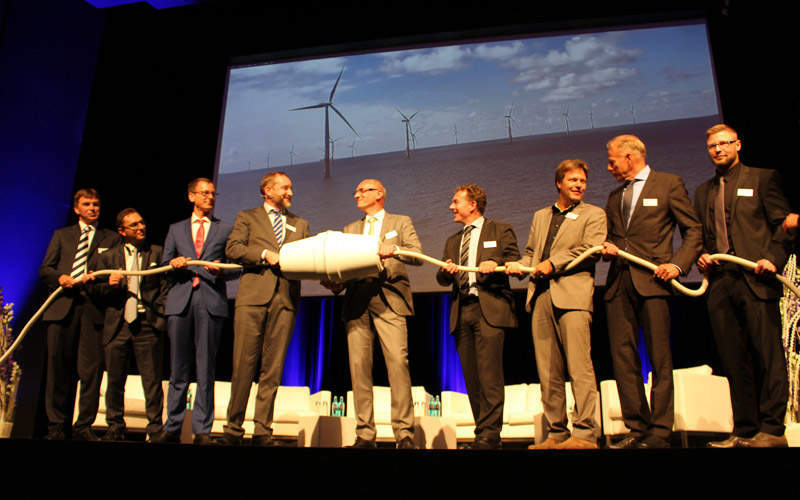 It is operated by WPD, who jointly owns the wind farm with Siemens Financial Services, Marguerite Fund, Industriens Pensionsforsikring, Caisse des Dépôts group (CDC Infrastructure), Elektrizitätswerk der Stadt Zürich (EWZ), and Pensionskassernes Administration (PKA). The 288MW project has an annual output capacity of 1,290GWh, which is sufficient to meet the electricity requirements of roughly 370,000 households a year. The construction works for the project were initiated in March 2014 and completed in August 2015, while the official inauguration took place in September 2015. The German offshore wind farm was first conceptualised as a community-based project in 2000 by more than 8,000 private investors, who received approval from the German government to proceed with the planning activities in late-2002. In 2007, the project was acquired by the Irish renewable company Airtricity, which was acquired by Scottish and Southern Energy (SSE) in 2008. The latter initiated the geotechnical investigations in 2009. WPD acquired the project from SSE in September 2010 and awarded the engineering, procurement, construction and installation (EPCI) contracts for the project in 2011. WPD divested most of its shares in the project to the current partners in December 2012 and the project reached financial close in February 2013. The project involved an investment of €1.3bn ($1.4bn approximately), which was financed through 67% debt and 33% equity. Debt financing of €940m ($1bn approximately) was provided for the project by a consortium of nine banks led by KfW IPEX-Bank, UniCredit and Bremer Landesbank, and including the European Investment bank (EIB), Eksport Kredit Fonden (EKF) and KfW Förderbank, along with commercial banks BayernLB, HeLaBa, HSH Nordbank, ING, Rabo Bank and SEB. The wind farm is equipped with 80 Siemens SWT 3.6 120 wind turbines mounted on transition pieces that are supported on monopiles. The turbines have a rotor diameter of 120m, a hub height of 120m above the sea level, with each blade measuring 58.5m-long. Each of the turbine’s rotor and nacelle combined weigh 250t. The output from the turbines is transferred via approximately 90km of inter-array cables to the project’s high-voltage offshore substation, which converts the output voltage of 33kV to 155kV, prior to being conveyed via a 30km subsea cable to the SylWin converter platform operated by Tennet. 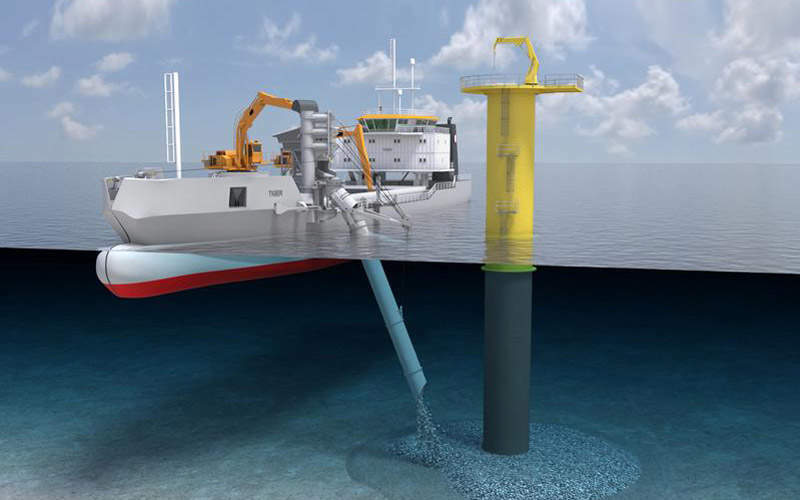 The output from the SylWin platform is further connected to the national grid onshore via a 160km subsea cable and a 45km onshore cable. "The project involved an investment of €1.3bn ($1.4bn approximately), which was financed through 67% debt and 33% equity." Siemens, who supplied the turbines, is also responsible for providing maintenance services for ten years. 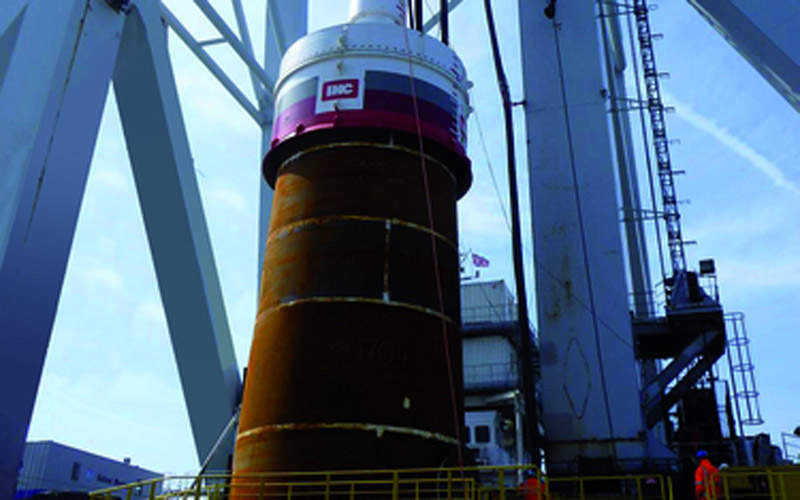 Ballast Nedam was entrusted for the design and installation of the turbine foundations, whereas the scour protection for the foundations was provided by Jan De Nul Group and the piling hammer for the installation of the foundations was provided by IHC Hydrohammer. The transition pieces were supplied by Bladt Industries. The joint venture of Cofely Fabricom GDF Suez designed the offshore substation platform, whereas the steel construction works for the same were performed by lemants and the electrical components were supplied and installed by CG. GeoSea was responsible for the platform installation. 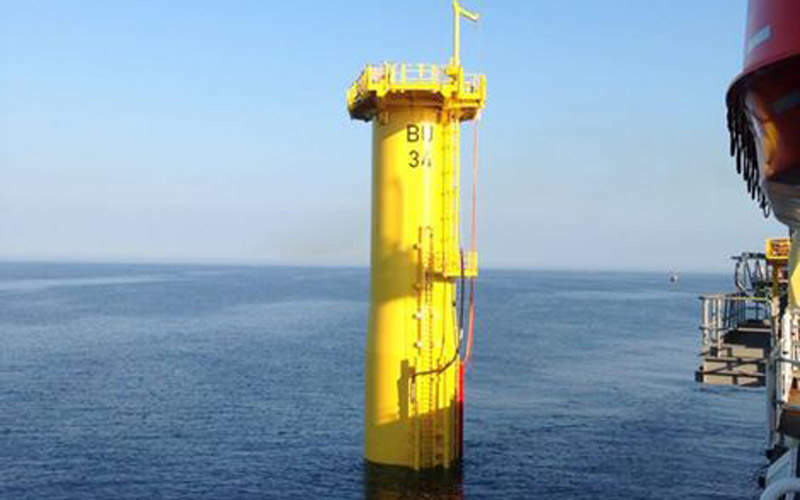 The inter-array cables were manufactured by Draka and installed by VBMS, whereas the subsea cable connecting the substation with the SylWin platform was supplied and installed by ABB. Dokka Fasteners is a leading supplier of high-tensile studs, large diameter bolts, fasteners, and rods for wind turbines, cranes, and heavy engineering equipment, as well as the oil and gas industry. Accommodation at Sea designs and produces offshore mobile container solutions for use on seagoing vessels, substations, barges and jack-ups.